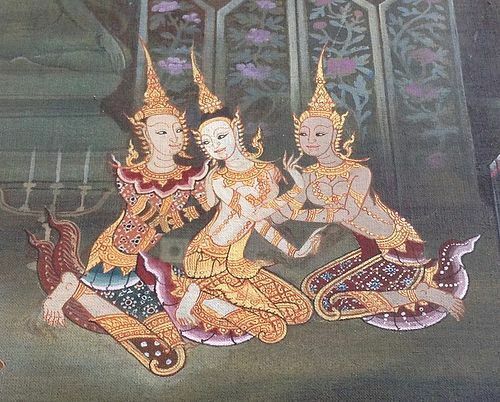 Very fine original acrylic painting depicting Busaba being secretively seduced by Inau, signed and dated 29.4.2524, by famed Thai artist Hatthai Bunnag. Size: 58 x 50 cm. Beautiful collector's item! Stylish and clean-cut solid 18K. White Gold Ring (7.94 gr.) 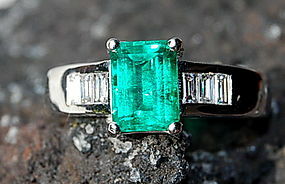 set with a fine octagon Colombian Emerald @ 1.41ct. 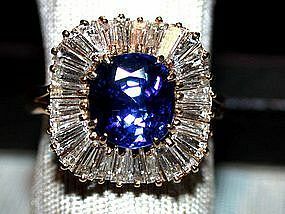 and flanked by 6 white baguette Diamonds @ 0.36ct. total weight.